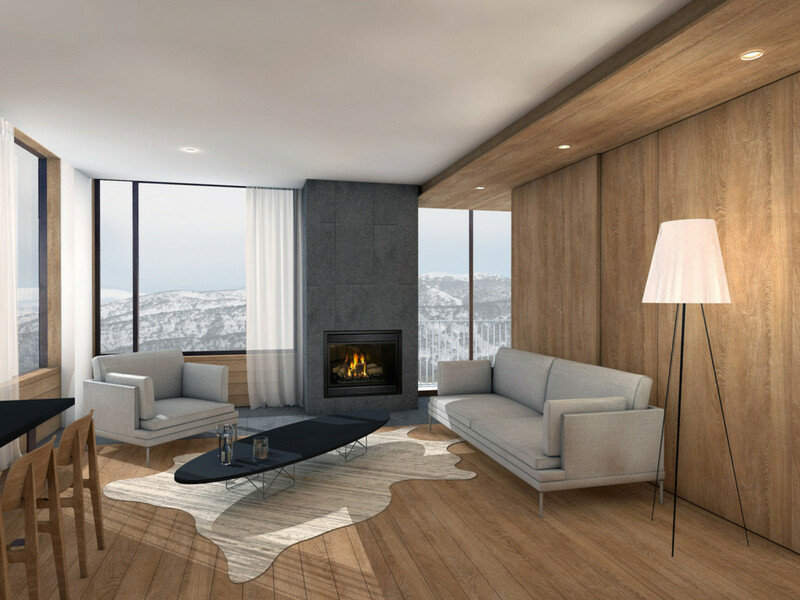 | BRAND NEW APARTMENT – Ready for Winter 2019! BRAND NEW APARTMENT - Ready for Winter 2019! 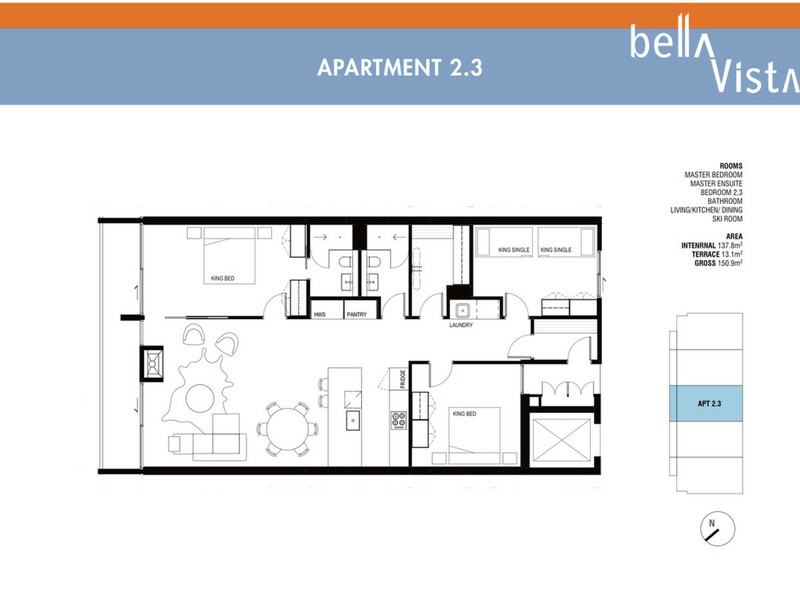 Bella Vista is an exclusive selection of luxury apartments located for convenience and stunning views. 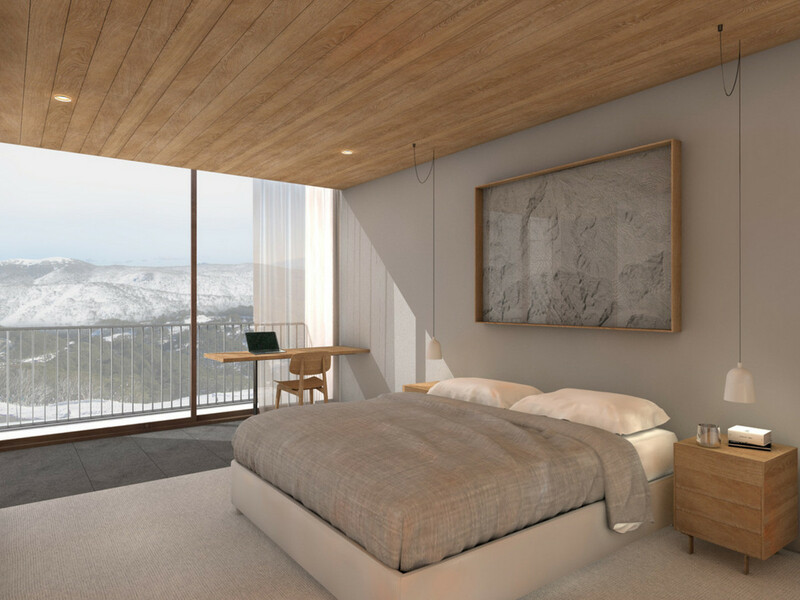 The concept by Salter Architects in collaberation with SL Architects will deliver a truely magnificent residential project to Australia’s most popular mountain for the 2019 snow season. 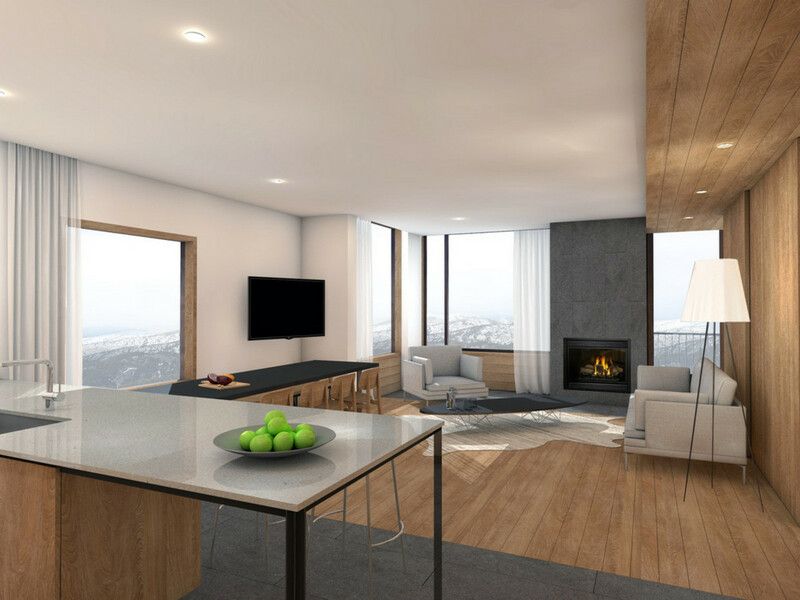 These bigger than your average apartments are designed to take in the breathtaking views and filled with features like timber floors, feature walls and ceiling panels, gas fire places, north facing sun decks, wool carpets, state of the art kitchens with stone benchtops and Miele appliances. Bella Vista offers 180 degree panoramic views to mount stirling and what we will always call Shakey Knees. 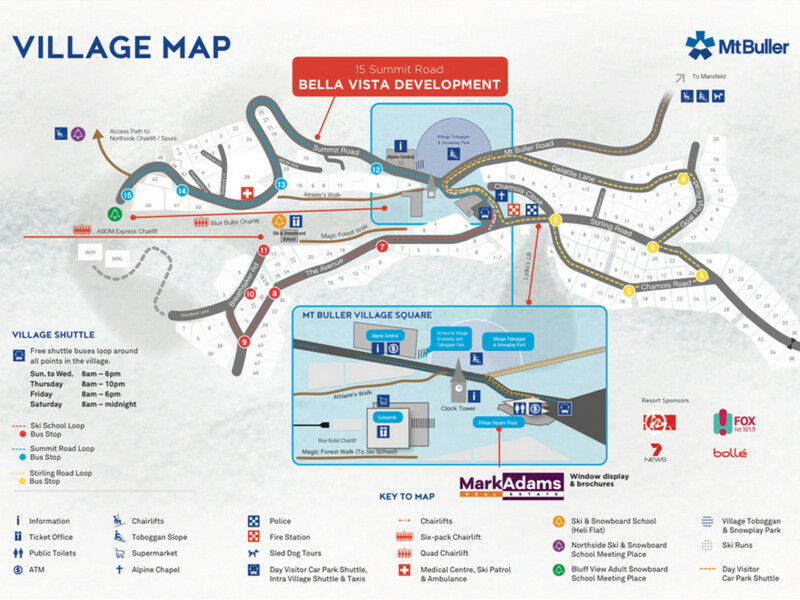 Walk to Bourke Street from the top entrance, ski across to Shakey Knees or catch the free shuttle bus around the village. 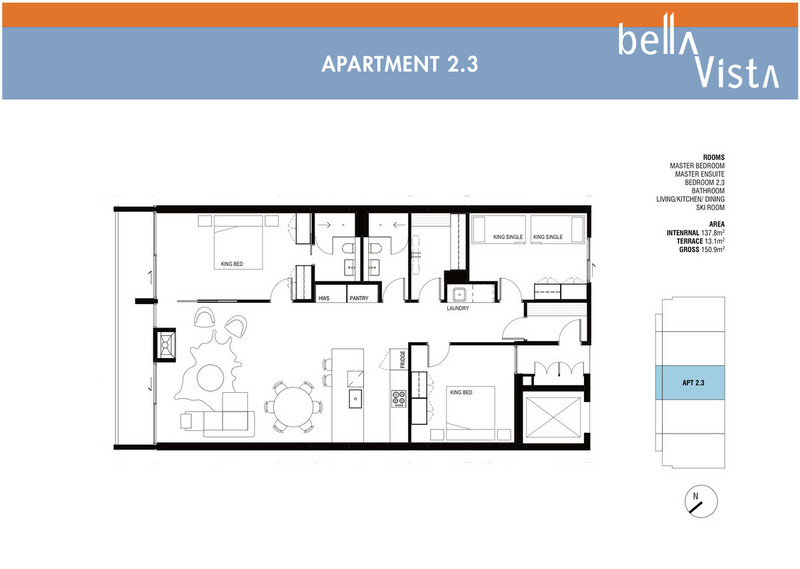 – This spacious 3 bedroom, 2 bathroom apartment is 138sqm plus a balcony of 13sqm. – Featuring a huge master bedroom with breathtaking views, BIR & ensuite. – Second & third bedroom can easily fit king bed and king singles. – Quality kitchen fit-out, pantry, large living & gas fireplace. – Large drying room, laundry & hydronic heating throughout. – Stunning views & fabulous finishes. 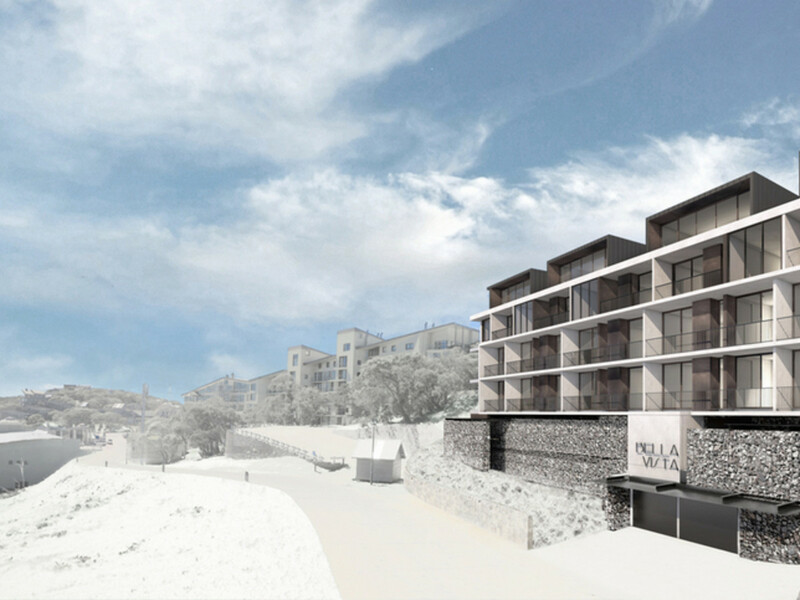 – Lift access and garage carparking. 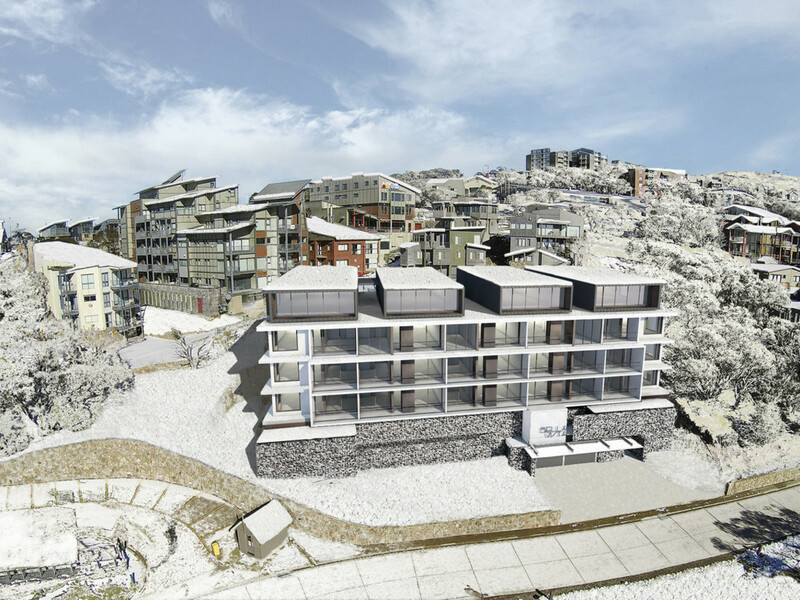 Construction Underway – Ready for Winter 2019!